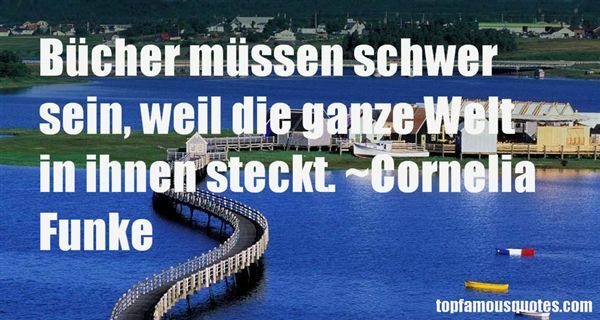 Reading and share top 172 Cornelia Funke famous quotes and sayings. 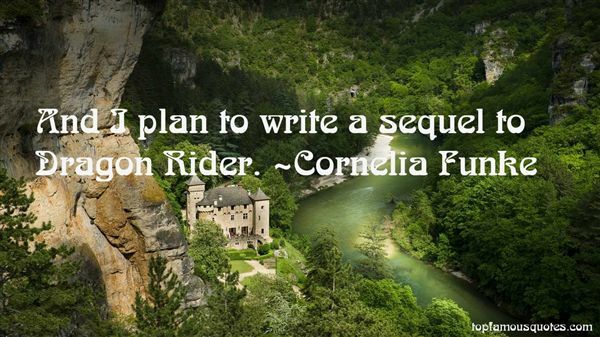 Browse top 172 most favorite famous quotes and sayings by Cornelia Funke. He, the true writer, is the department store dummy at the very center of the whole establishment, the one left alone on display all night, a price tag stapled to every piece of clothing they've yanked onto him, binoculars and frog flippers included. He is the neutral, generic human form, the gray center who must always assume disguises — in order to be seen and, therefore, to feel himself." 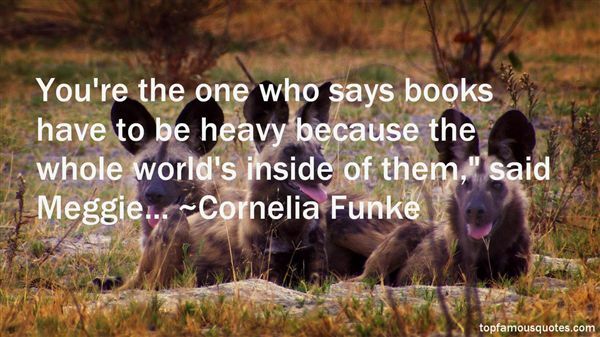 What Did Cornelia Funke Talk About?